Through June, Katherman Briggs & Greenberg attorneys, in conjunction with the Pennsylvania Bar Association (PBA), will take a deeper look at the history and the future of workers’ compensation. Read our first post on workers’ compensation history here. Some large, financially healthy employers that have been operating for three or more years can apply for self-insurance status by securing Bureau of Workers’ Compensation approval. 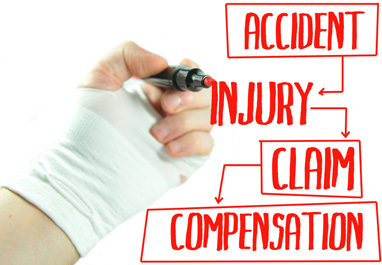 Only employers who provide workers’ compensation insurance coverage are protected against lawsuits filed by injured workers. Today, more than $40 billion is paid to families of injured workers nationwide each year. Katherman Briggs & Greenberg operates the largest workers’ compensation office in York County, with three lawyers strictly handling workers’ comp cases. Dean V. Dominick is a KBG attorney with 25 years of experience exclusively handling workers’ compensation matters. He is certified as a workers’ compensation specialist by the Pennsylvania Bar Association as authorized by the Pennsylvania Supreme Court. In addition, he is a Hearing Committee member serving the Disciplinary Board of the Supreme Court of Pennsylvania, and is a member of the York County Bar Association, Pennsylvania Bar Association and Pennsylvania Association for Justice. Drew P. Gannon, a KBG attorney with 20 years of experience exclusively handling workers’ compensation matters, is certified as a workers’ compensation specialist by the Pennsylvania Bar Association as authorized by the Pennsylvania Supreme Court and is a member of the York County Bar Association, Pennsylvania Bar Association and Pennsylvania Association for Justice. Jennifer A. Kline, a KBG attorney with more than 20 years of experience exclusively handling workers’ compensation matters, is certified as a workers’ compensation specialist by the Pennsylvania Bar Association as authorized by the Pennsylvania Supreme Court and is a member of the York County Bar Association, Pennsylvania Bar Association and Pennsylvania Association for Justice. The Katherman Briggs & Greenberg firm has practiced workers’ comp ever since its inception in 1983.